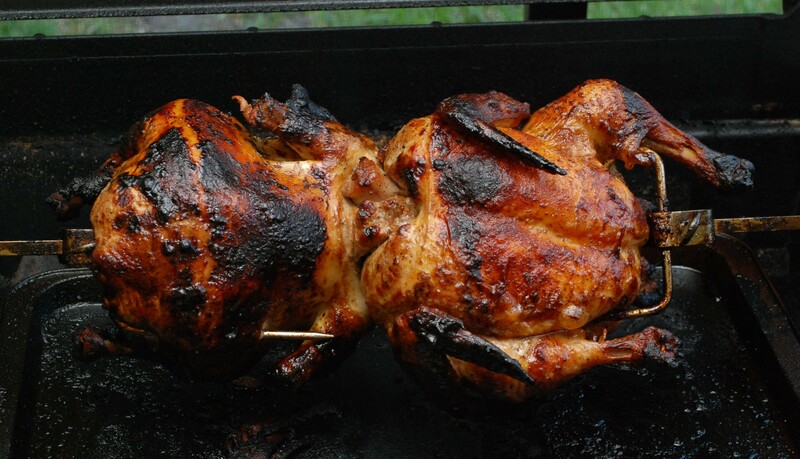 I have thought about making a rotisserie upgrade for my grill for a while. It turns out they can be had for about 80 bucks on amazon. Thus, the webber has a shiny new spit! I couldn’t find tons of info online on how to best cook with this thing so trial and error it is! I started with two ~5.5lb birds. Both marinated for a day and a half, one in mojo, and the other in my first batch of home-made lizano sauce. I started the two on medium heat, closed the lid and came back 20 minutes later to check. FIRE!!! Yep, medium was waaaay too hot. Lots of drippings and lots of flare ups. I pulled it back down to low, and carried on. The results look terrible, but actually tasted quite good. The fire must not have been going long, and only charred the skin. 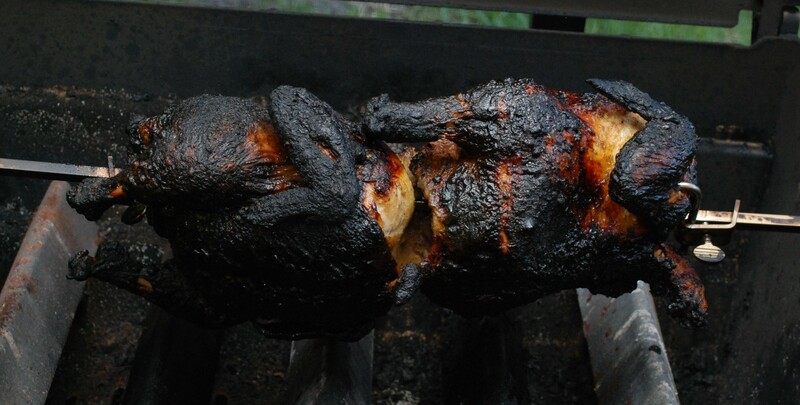 If at first you char your chicken, try try again. I picked up another set of birds and set about doing a quick marinade. One was a short brine session with sprigs of fresh rosemary, and the other marinated with official lizano sauce. Instead of medium I stuck with the lowest setting throughout, and placed a cookie sheet under them to help deflect direct heat and keep drippings from flaring up. Much better. 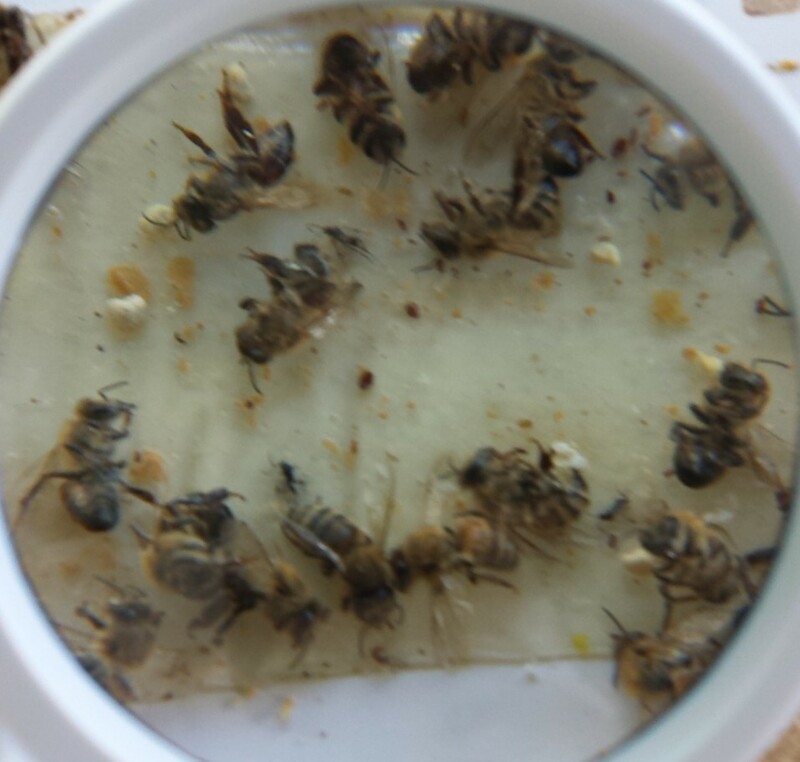 I was so excited to dig in and eat, that after they rested I didn’t get a picture. 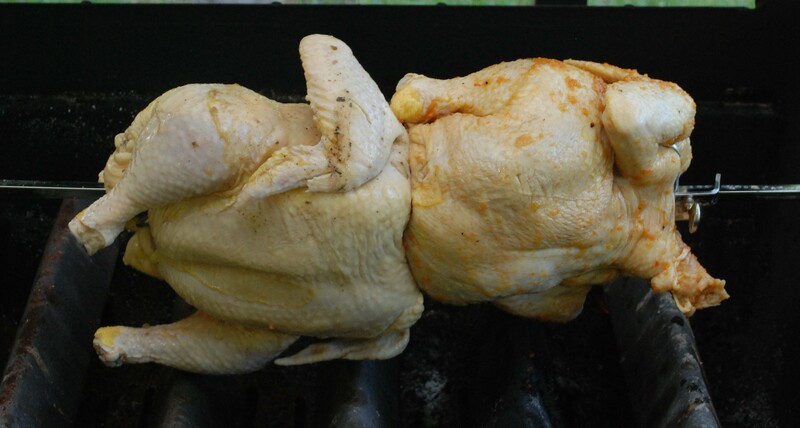 The taste was awesome, the skin delightful, and the breast meat was tender and juicy. 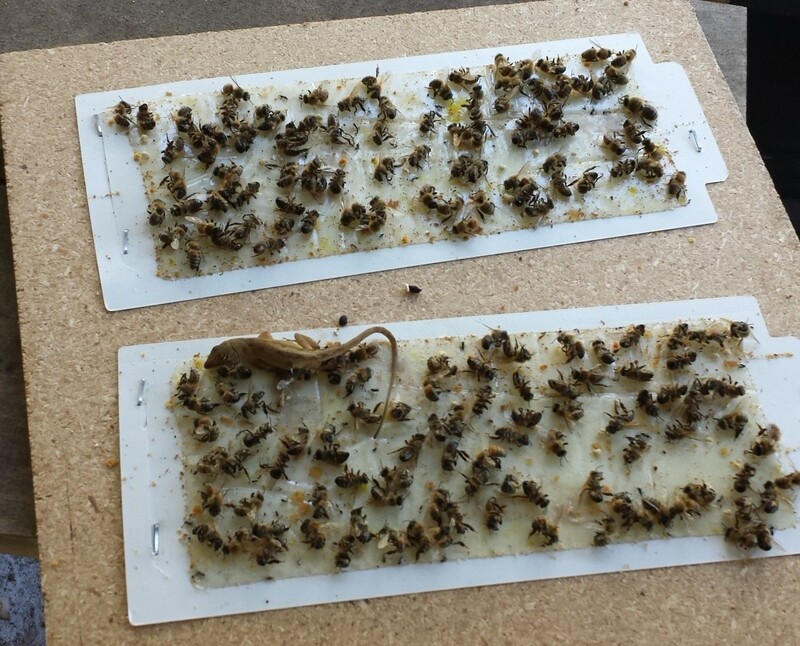 Big Success! The only downside is that my cookie sheet was ruined. Next time foil sheets. I have found a miraculous sauce from the land of Costa Rica. Lizano sauce (salsa) is a brown sauce that is apparently quite ubiquitous in the country. There are a lot of different variations that I have tried, and I am sure in Costa Rica they have a lot of regional differences. A local burrito shop has their own version that is a medium brown, and tastes amazing. I found out half moon bay trading sells a “Caribbean Condiment” which is excellent and close to the burrito shop version. I haven’t found a local source, so it is time to craft my own. The sauce is rather strange. It has vinegar and spices obviously, but also vegetables. Not a sauced tomato mind you, but hearty root vegetables. I thought they were pickled, but I couldn’t find evidence of that. In first searching I came up with a recipe that is repeated a lot. I don’t know who to credit, and spoilers, it isn’t quite right. I will say that it has chilis, water, a bit of onion and carrot, 2T sugar, 2T lemon juice, 1T vinegar, 1T cumin, 2t salt, 2t molasses. 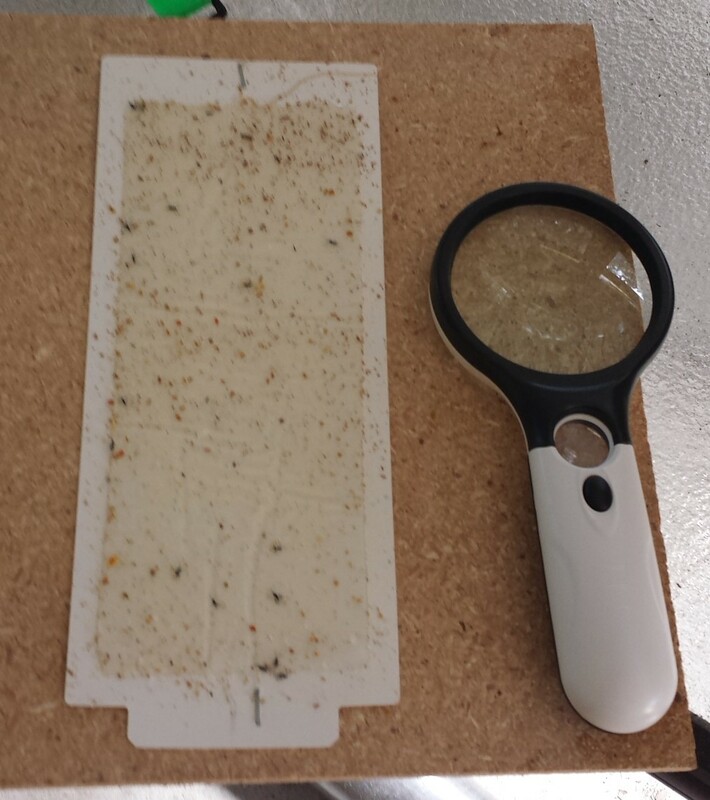 The results are pretty nice, but the first thing that strikes me is that it is too thin and has way too much cumin. I love cumin, but this sauce shouldn’t have much, it is a really dominant flavor. There are various ways to thicken sauce, so I will worry about that part later. Other than the chilis getting a roast and simmer, the recipe didn’t call for anything else to be cooked. I bought some “Official” Lizano sauce from an internet supplier for comparison. It is pretty good, but isn’t as good as others I have tasted. Looking below, the color is much darker than mine. Digging deeper on the internet I found an alternate recipe that has more vegetables and less cumin. There will be a part 2 in the near future! I tried to marinate a chicken in the sauce and grill it. Due to an unfortunate flare up the bird was burned beyond recognition. It still tasted pretty good though. Chalk boards are big now. Not sure why, I can’t stand chalk. Chalk markers exist though, and those are pretty cool with me! Our fridge is stainless and doesnt allow for the typical magnet and picture collection that I am used to. I combined the new trend and my old fridge problem to make a magnetic chalk board. I cut down a sheet of metal to 18in x 24in. 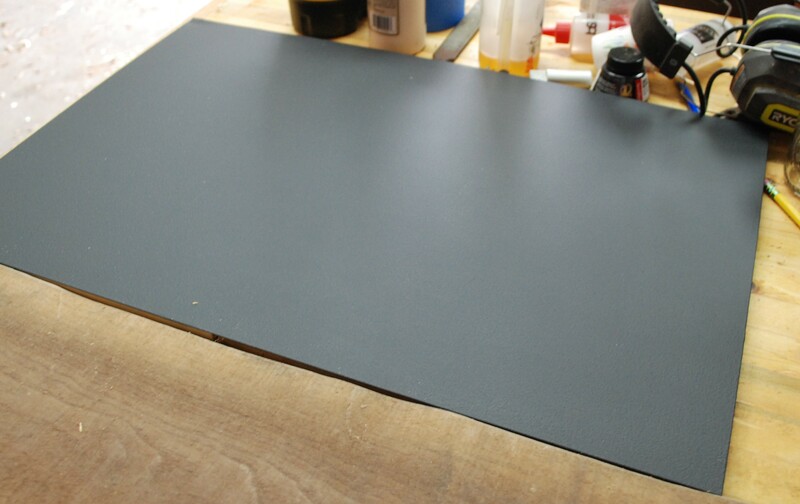 I picked up a spray can of chalkboard paint from valspar to give it the right surface. The metal got a light sanding to rough things up, then a wipe down with alcohol to clean everything up. 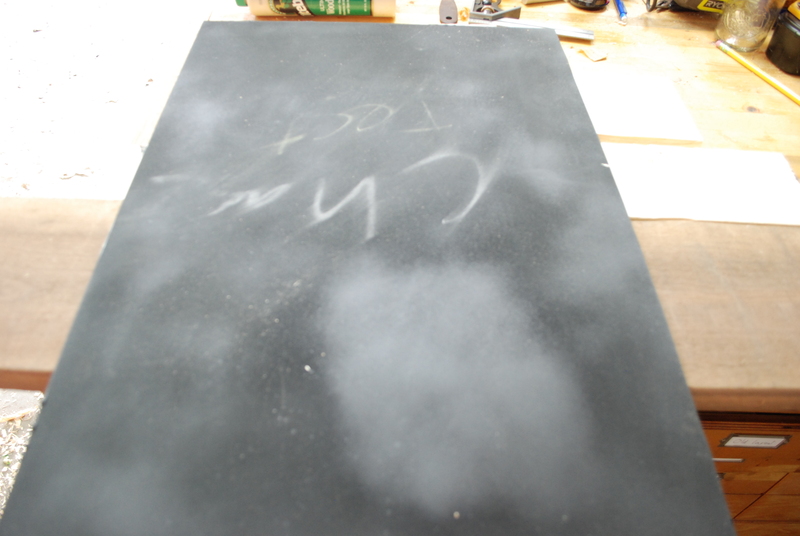 1 coat of primer and a few coats of chalkboard paint and it looks like a disaster. The spray chalkboard when on really patchy and irregular. I tried sanding it a bit between coats to help even things out, but it isn’t going to happen. I flipped the piece over, sanded cleaned, primed, and then switched to rolling on chalkboard paint from a can. This looks much better, but it took 3 coats. The first didnt appear to like the primer coat. It had a crazed look to it after drying. I just kept putting on coats until it had consistent coverage. I took some decent looking walnut and made a frame. No pictures of the progress, but it is a basic miter frame. The metal plate fits in an inside groove. After gluing it all up I used a lot of epoxy on the backside to keep the metal from bowing or rattling around when writing on it. Tung oil is the finish. The can of paint said to coat with chalk, then wipe off as a finishing move. Once cleaned up I threw up some pictures and magnets and it looked perfect!